1. The salesperson must be passionate about product or service: Salesperson job must not be just transactional. He must build a connection with the buyers by showing passion for the product or service. Instead of trying to convince the prospect that they need what he is selling, rather create a genuine connection. Sharing the authentic passion will naturally build the “know, like and trust” factor. 2. Be Curious: Is this client a good fit for me? What do they really want? What would help them get it? What are their biggest challenges? These are the curious questions salesperson must have. Instead of going with the attitude to know it all or let the buyer decide, the salesperson must go with curiosity. People do NOT care about your business or what you sell. They care about their business or their interests. 4. Listening: Acknowledge them. Speak about what you see and good about them in a genuine way. This builds rapport and shows the potential client that you “get them”. This is a critical step in building trust. 5. Being honest and saying what you think – For some reason, many salespeople tend to hold back on what they really think during a sales conversation. By being bold and authentic. it helps better conversation. Also, the salesperson must avoid assuming things. Instead, it is always better to say what one is thinking. It will create more of a connection, will serve the potential client, and will lead to clarity about whether or not your company is a fit. 6. Focus on the Clients Needs and Desires: Asking the right questions to determine your client’s challenges and desires? Connecting to emotional needs is a lot more important than logical needs. Understanding clearly how your product or service meet those client needs? If so, tell them. If not, be honest about that, and refer them out. 7. Focus on the Ultimate Value, Benefits Versus the Features: One must focus the presentation on the ultimate value the client gets of the service and not on the features of the service. The benefits are the “results” while the features are all the details about how your product or service works. In most cases, the client only cares about the “results” and whether or not you can deliver them. “How” you will help them is only an afterthought. Today people do not want to be sold to. Buyers love to work with those salespersons whom they can trust. 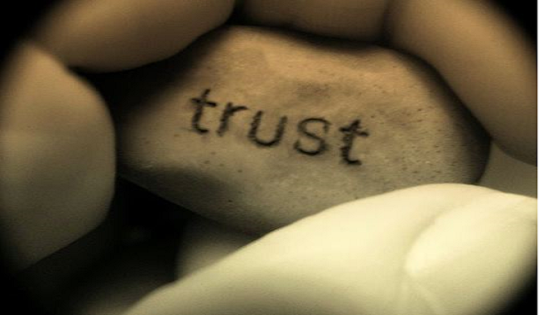 The problem that it is difficult building that trust by just talking about your service on a sales call. The above 7 guidelines if followed, will help the salesperson to build trust.